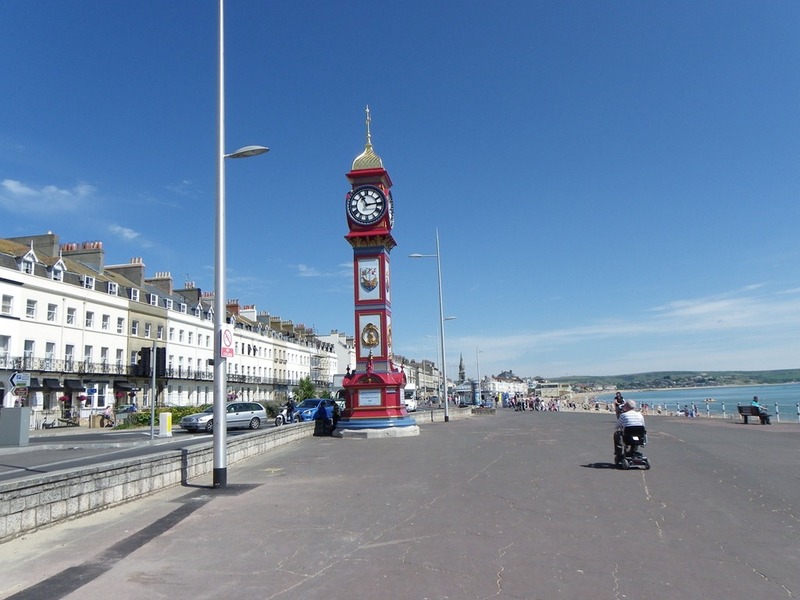 It may seem strange writing about something of a potential death knell tolling over a normally prosperous seaside town, but due to a sudden visitor drop in the peak holiday season, it does seem to me that is the position Weymouth could be facing at the moment. I did write as early as January 2011 and several times since then of potential problems with the then forthcoming Olympics likely to deter holiday makers from making Weymouth their holiday venue of choice. In the 18 months since then. It does seem that the increasing number of official announcements about what was going to happen to the town during the Olympics was also increasing the deterrent effect to holiday makers during this period. It was not through any mystical crystal ball gazing on my part making it possible to forecast the future but plain common sense. Common sense to understand what the locals were saying. Common sense to understand what would deter holiday makers from coming. Some hoteliers did not help the situation by apparently refusing to take holiday bookings during the of the Olympic period in the expectation of getting more lucrative corporate bookings. The bookings never materialised and hotel rooms in the peak holiday season now stand as empty as the shameful swathe of empty seats already witnessed at Olympic venues. Some hoteliers have suddenly started offering hotel rooms at greatly reduced rates in an attempt to attract holiday makers but it is likely to prove a forlorn hope as holiday destinations tend to be booked well in advance. For people travelling any distance there are only two effective methods of getting to Weymouth, either by car or by train. The advice being given to people visiting the Olympic sailing venue was to come by train and I think everyone was flabbergasted when only one week before the Olympics started, the train operators stated on national television that due to technical reasons, they would not be able to cope with greatly increased numbers of visitors and that people should come by car instead. Some car parking spaces within a normally busy Weymouth have been reduced with alternative park and ride sites being set up. Charges for car parking at these sites was also set at £10 per day with additional fees for reserving a space. Not only is all this a potential deterrent to both holiday makers and casual visitors alike, but it also led to claims by numbers of people who travelled into Weymouth by car to work that they were facing substantial additional travel costs just to go to work. In what appears to be a desperate attempt to gain back lost holiday makers, the £10 per day fee has suddenly been dropped on certain days but I fear this will prove be too little, to late. I visited Weymouth the day before the new restrictions came into effect. The beach was crowded and multitudes of people swarmed through the town. By contrast from what I now see on television, apart from the Nothe Park which has large numbers of Olympic spectators, local businesses report a dearth of visitors. News photographs show that even the sea has been screened of from view on parts of the Esplanade by a fence of horrible blue plastic sheeting. Weymouth must be the only seaside town where when strolling along part of the seafront, viewing the sea and vista beyond appears to be forbidden. How on earth anyone hopes to attract visitors who will have seen the same scenes on television is beyond me. It is true that Central London has also experienced a large drop in visitor numbers coupled with people working from home, giving Central London a ghost town appearance, but unlike Weymouth, London is a vibrant 24 hour city with excellent transport links well able to recover from temporary setbacks. I would have thought Weymouth’s economy is much more delicately balanced with bucket and spade holiday makers making a significant contribution to the local economy. Weymouth’s big challenged will now be how to attract those regular holiday makers back next year and that could prove a difficult problem once people have tasted elsewhere. Failure to do so particularly during a recession could lead to serious decline in the town. Personally I hope the belated campaign to attract visitors works although I must confess to having doubts as to whether this will have more than a minimal effect. As a seaside town I have something of a soft spot for Weymouth. It is a fantastic holiday town for families with a wide clean gently sloping sandy beach. 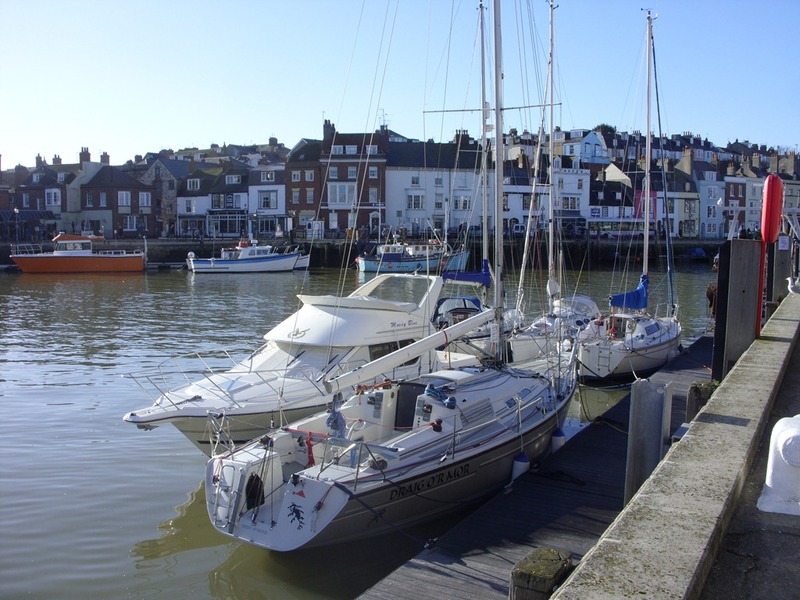 Being part of the renown Jurassic Coast it is also a good location to start adventure trips from or fascinating just to stroll around the harbour. Weymouth has quite a good shopping centre too ranging from some wide traffic free streets lined with a mixture of large well known stores and local shops, to a labyrinth of small alleys all crammed full of curiosity type shops just begging to be explored. Dining, whatever ones taste is well catered for with a multitude of food outlets and restaurants. I suspect once all the razzamatazz of the Olympics has passed it is inevitable the blame game will begin. I would not at all be surprised if the death knell of a few political careers is sounded or even if the political composition of the town drastically changes at the next election.